OK, this one is almost too easy. How many Cartoon jokes can I make in one write up? 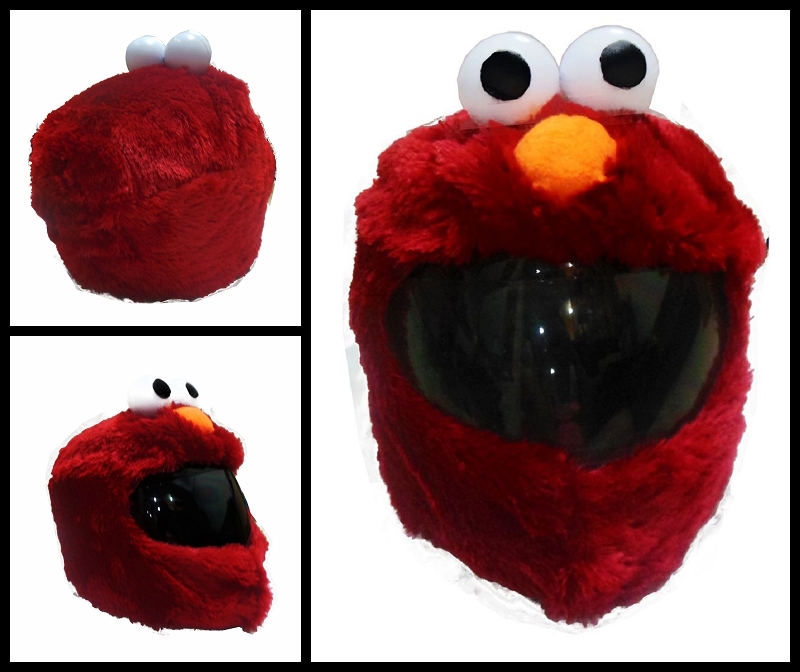 We have the perfect handmade Cartoon Motorcycle Helmet cover for you. When we say handmade, we mean hand made by people who are not Chinese. The "maker" is also older then 8. She claims it takes her 2 hours to make each one. Cartoon will fit (almost) any size helmet (Probably not on a XXL or larger) and he slips on and off the helmet in seconds. It is kept in place by elastic that is stitched in the bottom of the cover that keeps it nice and tight on the motorcycle helmet. Cartoon Helmet Cover also keeps your helmet from scratches and chips. Cartoon can interfere with the ventilation of your helmet, but he also reduces road noise a bit. Cartoon may slightly vary from the picture because they are all handmade.